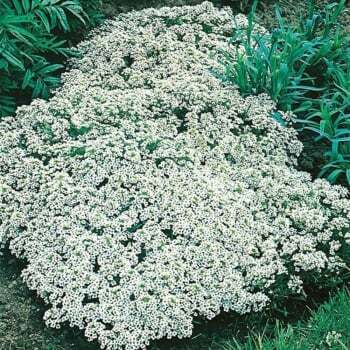 These Mr. Fothergill's Alyssum Snow Cloth seeds from Ruddick Garden Gifts are an easy to grow hardy annual. The plants will become smothered in small, fragrant blooms and are long lasting. Flowers June - October. Average of 1250 seeds per pack.